Keywords and captions with photographs are as important today as ever before. For years I have kept copious notes and caption books for my photographs. The biggest problem for me, probably like many photographers, the photographs pile up, one moves onto another project and the images and captions books sit idle until the next free block of time. In the days of transparencies I did a fairly good job of getting my caption labels on the slides and when push came to shove I would at least clip the captions notes to the slide pages so I could eventually transfer the information. About 13 years ago when I started shooting digitally I was diligent about getting photos into proper folders with file names but I was pretty lax about inputting meta data. Big mistake! I have had to scrounge through notes, go to “topo” maps, Gazetteers and make phone calls to assignment contacts for information if I had abandoned photos for too long of a period. Now that DSLR’s have built in audio tagging my office life has become much more bearable and certainly more organized. 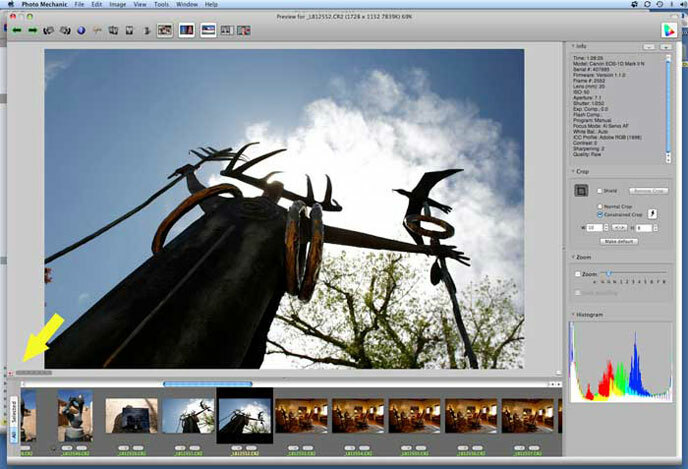 I have been updating my AGPix Live photo catalog and came across an image that I had inadvertently forgot to caption. My first reaction was, ” Darn, I won’t be able to catalog this photo without some painstaking investigative work.” But then it dawned me that I might have audio-tagged the image along with several others from the shoot since they were travel images. So when I opened up that folder of images in PhotoMechanic my hopes were verified. There was the little red loudspeaker symbol ready to spew out what tidbits of information a had stored on the wav. file (Waveform audio file). Within moments I was able to build a caption and log enough keywords for a reasonable search and I was then onto the next photograph. 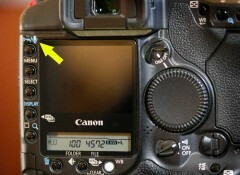 PhotoMechanic's active audio tag is always visible in the lower left preview screen of an image on display. 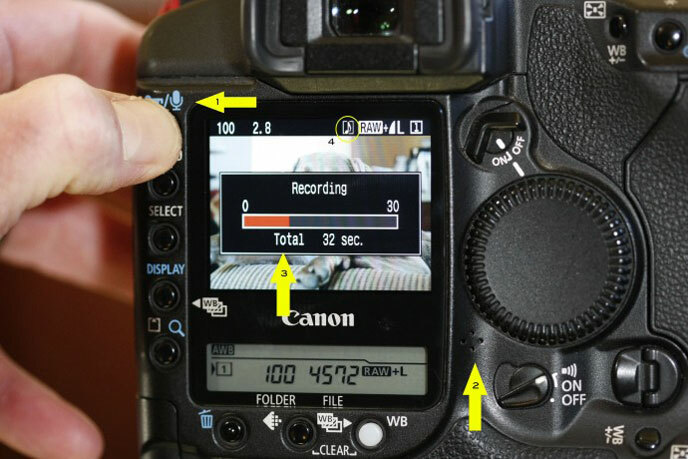 If you have not tried this simple procedure or haven’t discovered this easy to use devise on your camera I highly recommend using it. Often times I will record a photo subject’s name and telephone number and then call them at a later time for more details and to verify the spelling on their names. It certainly save a lot of headaches months down the road. Eric, enjoyed your technical article on the Cannon. As you know most of us are Nikon users for the quality issues. On The F3, we keep a notepad, prenumbered with 1-24/1-36 and just jot down the subject photo next to the number. Never in 40 years have I had a equipment failure, missed photo ID, scrambled voice, etc. PS. little known fact, but the F3 was just used the other day in Nepal. Walking by a tempermental mountian bull, I gripped the neck strap, put the camera in my hand, and thought,”come on big guy, mess with me, and WHAM!” Nothing happened, but I’m sure the F3 would still function after its defense use.